Ancient Secret of the Fountain of Youth. Offering practical instruction on how to perform the Tibetan Rites of Rejuvenation, which will take only minutes a day, many practitioners have experienced benefits, including increased energy, weight loss, better memory, new hair growth, pain relief, better digestion, and feeling overall more youthful. Legend has it that hidden in the remote reaches of the Himalayan mountains lies a secret that would have saved Ponce de Leon from years of fruitless searching for the Fountain of Youth. There, generations of Tibetan monks have passed down a series of exercises with mystical, age-reversing properties. Known as the Tibetan Rites of Rejuvenation or the Five Rites, these once-secret exercises are now available to Westerners in Ancient Secret of the Fountain Of Youth. Peter Kelder's book begins with an account of his own introduction to the rites by way of Colonel Bradford, a mysterious retired British army officer who learned of the rites while journeying high up in the Himalayas. Fountain of Youth then offers practical instructions for each of the five rites, which resemble yoga postures. Taking just minutes a day to perform, the benefits for practitioners have included increased energy, weight loss, better memory, new hair growth, pain relief, better digestion, and feeling overall more youthful. Well versed in the Tibetan Rites of Rejuvenation since the 1930s, PETER KELDER is alive and well, living in California. He is the author of Ancient Secrets of the Fountain of Youth. I read the preview, and was intrigued. When I looked at some of the rite poses, I wasn't sure if I could do them, but was willing to give it a try. First of all, read the book thoroughly, and understand the concept of the Tibetan rites. I'm someone who has had 3 freak accidents over the last 6 years, and had physical therapy for all with mixed results. I've broken both of my arms (separate incidents), collapsed cartilage in one knee and had to wear a knee brace for a few months, and developed neck pain that physical therapy did not help (I wound up having the nerves burned in a radio frequency neurotomy which worked pretty well & was cleared for activity), so you can probably understand my hesitancy in trying any of these poses. It was a leap of faith to try these rites, but I did, and even after the first day that I tried them, I could feel a difference. With each day that I've done the 5 rites, I've grown stronger and it becomes easier. I actually look forward to starting my morning with the 5 rites. I'm going on my 7th day now, and I can feel a difference in my abs, my posture, strength, and my flexibility. I'm optimistic that it will just keep getting better. Dr. Siegel's forward was right on the money--be kind to yourself, and do what you can. Each day has gotten easier, and I feel better each day. My goal is to get back to hiking primitive trails and to get to enjoy the great outdoors here in SW Utah again. I suggest using the preview function to read several pages of this book, and see if you think it might work for you. I am so happy that I took the time to preview this book, and then purchased it. It isn't a long book, but it doesn't need to be. It has made a difference in my life in only a week, and I look forward to further improvement and change. 5つ星のうち3.0Just invest in the original. You only need the first, original book. This one includes a lot of guess work. The simplicity of the original is beautiful...this book tries to capitalize on that beauty by expanding it, but it's all superfluous. 5つ星のうち5.0An interesting and inspiring book for anyone interested in achieving a long and healthy life. It seems the older we get the more aware we are of our own mortality. I have lived ¾ of a century so far even though I have several medical issues. On the upside I have been into numerous martial arts and fitness programs for more than 60 years. 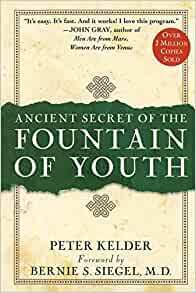 I am a voracious reader and I was surprised I had never come across this fascinating 106 page hardcover book (Ancient secret of the fountain of youth by Peter Kelder, foreword by Bernie S. Siegel, M.D.) until recently. I purchased it at a bargain price on Amazon. One of my favorite old black and white movies is “Lost Horizon.” The movie is based upon the book by the same name by James Hilton published in 1933. The main theme is based upon a fantasy place somewhere in the Himalayan Mountains called “Shangri-La. It is a place where everyone is happy and one never grows old. In this respect, I found this book an interesting and informative read. This text is organized into five parts. In the first part the author gives the reader a glimpse of the adventure about to unfold. 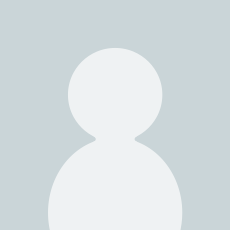 He meets a retired British army officer named Colonel Bradford. Bradford related a tale about the search for someplace in the Himalayan Mountains where they have discovered “the fountain of youth.” Colonel Bradford invited the author (Peter Kelder) to join him on this search but decided not to travel with Col. Bradford at that time. A few years passed and the author received a letter from Bradford claiming he had found the monastery he was searching for and would be coming back to the U.S. to share what he had learned. This book has six basic exercises that are simple to learn and do to achieve health and youth when done every day. As an exercise nut all my life I added the six Rites shown in this very practical book to my own rugged workout routines. Whether or not those exercises will restore me to a more youthful appearing old guy of 75 is to be determined after a few more months using the six exercises, which they call RITES. Note: The book’s advertisement on the back of the book claims “five ancient Tibetan rites” but the book actually includes a sixth rite. In any case, I really liked this book and still dream of finding my own Shangri-La fountain of youth. Rating: 5 Stars. Joseph J. Truncale (Author: Chair/Seated Tai Chi, Qigong, and Yoga for seniors and the physically challenged). I'm not sure why this book was written. My impression of the first book was to introduce the 5 Tibetan Rites as a way of preserving youth. However, this book introduces additional practices no affiliated with the 5 Rites. If the Rites are sufficient in themselves why introduce other practices. It doesn't make any sense to me other than this book being written for the sake of profit. Stay with the first book. This book is entirely unnecessary.